St. Ursula's nursing home, Bettystown, Co. Meath. St. Ursula's is a friendly and welcoming 24 single bed care home on the coast of Co. Meath. 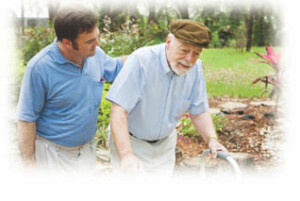 We provide a range of services including respite, convalescence and long term residential care. We have a holistic approach to caring for our Residents and we embrace the regular involvement of family members to ensure that the independence, dignity and respect of the Resident is maintained at all times. We strive to make the transition to St. Ursula's a positive and comfortable experience. The Director of Nursing will meet with the potential Resident in their own home or care setting to establish a clear understanding of how the Resident wants to live and to ensure that we can meet the individual's needs. Our focus is to live life to the fullest with engaging and enjoyable activities in a comfortable and homely environment where family and friends are always welcome. Your family GP may continue to provide for in you in St. Ursula's, alternatively you may wish to join the practice of one of our panel of GPs. St. Ursula's Nursing Home | Powered by Mantra & WordPress.